Sand and surf blend together with this charming pen set! 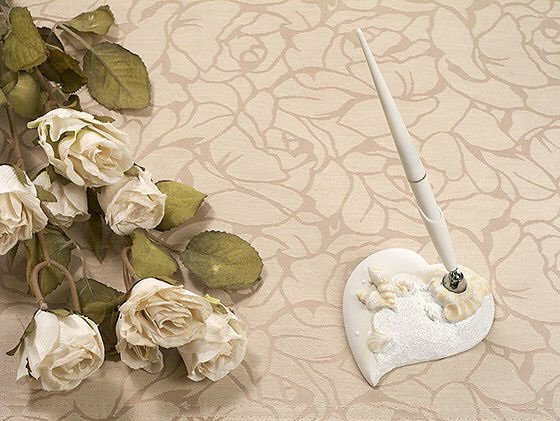 Carry your wedding's beach theme right onto the guest book table. 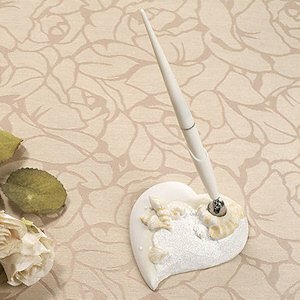 The set includes a heart-shaped resin base embellished with seashells and a matching pen featuring simple silver accents. This would be appropriate as a shower gift for a couple hosting a beach or destination wedding. The set stands 8" overall and is packaged in a white gift box.